Deliver a trusted call experience to connect and engage with customers. Display an accurate and consistent caller name and number for outbound calls. 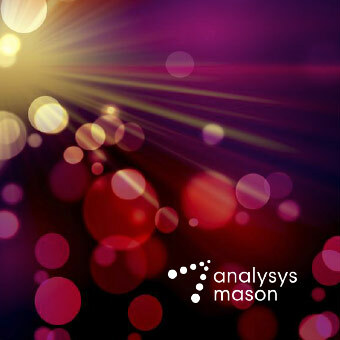 Ensure calls are not inadvertently blocked or marked as spam. Protect brand identity from being used by fraudsters for caller ID spoofing. Update business name and number displayed for outbound calls through a centralized online portal. 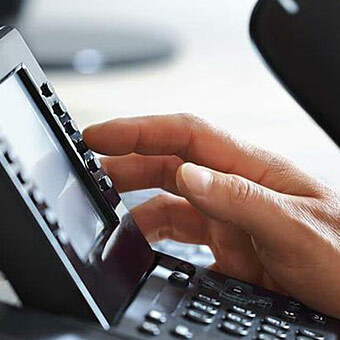 Ensure a consistent caller display over landline and mobile phones across 850+ voice service providers and caller ID apps. Let customers know who is calling, so they are more likely to pick up the first time you call. 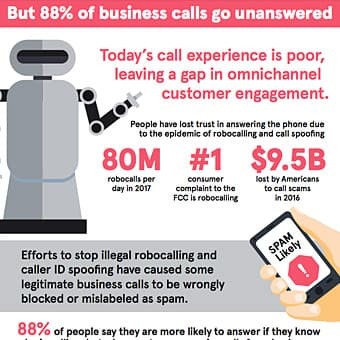 With the rise in robocalls and call fraud, people do not answer if they are not certain who is calling. Mitigate risk of your legitimate calls from inadvertently being blocked or tagged as spam by voice service providers. Designate verified business numbers used for outbound calling. Prevent damage to your brand reputation. Designate verified in-bound only business numbers across the voice ecosystem to stop them from being used by fraudsters for caller ID spoofing. The phone is still the #1 preferred contact channel for the majority of the population. Phone calls come out on top in terms of the level of intimacy, nuance and expressiveness. Make the conversation matter.